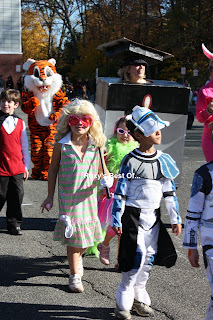 After Tuesday's crazy snow storm, today was a great day for a Halloween Parade in the Roxiticus Valley, and Mendham Township Elementary School did not disappoint us. 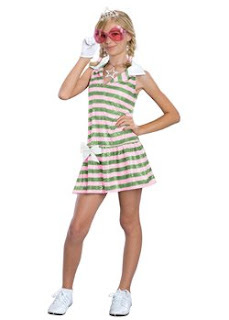 We were there to cheer on London and Maddie in their store-bought costumes as our two Sharpays from Disney's High School Musical, and came away impressed with the creativity of the students (and parents) from first through fourth grade. While Sarah Palin apparently had another commitment, Barack Obama and John McCain turned out for the MTES parade, along with a Rubik's cube, Fancy Nancy, a very well done (homemade) robot, girls in their poodle skirts, and lots of scary monsters and Star Wars characters including a teacher as a perfect Princess Lea. The West Morris Mendham high school marching band turned out in force, leading the crowd of costumed students in their march around the school grounds. On a separate Mendham Township Elementary School subject: Click here for news on Mendham Township Elementary School Principal Michael Craver's resignation. Updated Saturday, November 1st with official Board of Education letter to parents and staff. I'm disappointed to report that I did not receive the official letter from the Mendham Township Board of Education in today's mail, and there is nothing on the MTES web site, but as soon as I get a copy of it I will post it here. I'd also like to use my Roxy's Best Of... Mendham, NJ site to create a forum for discussion. When the Mendham Township School District hired our new superintendent Kristopher Harrison away from Maplewood, I was impressed with Maplewood's active online forum where parents lamented their loss and our gain with raves about their experiences with Harrison in their schools. Happy Halloween, everyone! 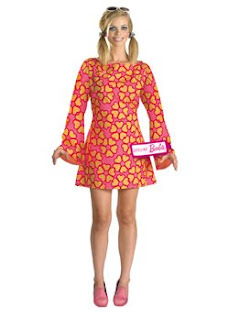 Here in the Roxiticus Valley, London and Maddie hopped on the schoolbus this morning with their Sharpay costumes, excited about the big Halloween Parade at Mendham Township Elementary School at 2:30pm this afternoon. 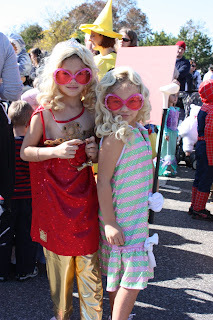 On the left, in a photo from last weekend's Bay Head Halloween Parade, London appears as Sharpay in her "end of year celebration" outfit and Maddie struts her stuff as Sharpay "golf." In addition to the school parade, the Brookside fire department is hosting a Halloween party at the Mendham Township Elementary School at 5:30pm. We'll be out trick or treating with friends in Drakewick, and will hope to see you out there in costume! For our loyal Roxiticus Desperate Housewives readers from out of town and around the world, I would love to see your comments here about your plans for Halloween? 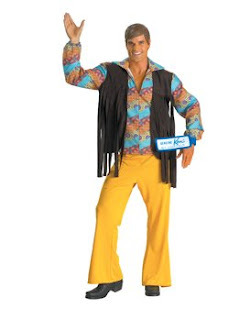 Are any grown-ups dressing up for Halloween parties or to go out in the neighborhood with your kids? How 'bout the kids? Do you celebrate Halloween in your part of the world, or another holiday with a similar theme? 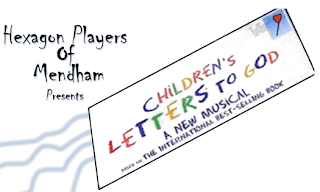 It's time for the Hexagon Players of Mendham Fall 2008 performance, and this year, they're presenting Children's Letters to God. It's a musical based on the internationally best-selling book by Stuart Hample and Eric Marshall, with music by David Evans and lyrics by Douglas J. Cohen. Taken directly from the letters of young people writing to “the Big G," Children's Letters to God promises to be great family fun. I doubt that we'll receive the answers, but the questions include gem like "Dear God. How did you know you were God?” “Dear God. Are you really invisible or is that just a trick?” and “Dear God. How come you did all the miracles in the old days and you don’t do any now?" While this Roxiticus Desperate Housewives blog runs on Google's Blogger platform, I've often publicly lamented the negatives of being a prisoner to The Man. Of course, my most loyal readers know that I've broken free and taken control of my most valuable content with my Roxy's Best Of... blogging empire (roxysbestof dot com), a self-hosted community of local information/directory sites that leverages the awesome power of the WordPress MU (multi-user) platform to help local readers find the best kid stuff, restaurants, home services, personal and professional services, events and entertainment in a town near you. For those of you considering a switch to a self-hosted WordPress web site, I have some great news. If I can take the liberty of calling all of us dummies when it comes to the ins and outs of the latest technology, I can share the good news that my fabulous Roxy's Best Of... web designer, Lisa Sabin Wilson, has updated her book, WordPress for Dummies, and it is due out next week. Don't worry, I'll post the links to Lisa's new book on Amazon the minute this terrific guide to WordPress is available to ship. The second bit of good news I have for you is that there's a web site that will help you to avoid all of the time consuming research I had to do to find the right web host. AlreadyHosting.com provides free Web Hosting Reviews so you can find the web host that best meets your needs. You'll find independent, unbiased reviews of the top web hosting services. The top hosts offer a free domain name and a guarantee. Once you've chosen your host and launched your self-hosted site, you can come back to review and rate your new hosting provider. Be sure to leave Roxy a comment with your new URL and I'll stop by to visit. Apologies to my regular visitors and EntreCard droppers for the lack of entertaining posts for about 48 hours from Tuesday afternoon through Thursday afternoon this week. Almost the moment I posted about the freak snowstorm here in the Roxiticus Valley, the storm brought us all to our knees, technologically speaking. Our family and immediate neighborhood lost power for only a few minutes, but we lost our Comcastic cable and Internet service for two days. Our sweet nanny and her family, on the other hand, had it much worse... over in Long Valley, where the power is still out after more than 48 hours, she had trees down on her roof, and downed power lines and telephone poles on her street prevented her from escaping from her cold, dark home. No matter how often Mother Nature shuts down the technology and services that are so much a part of our lives, I'm always surprised and ill-prepared to go back to the dark ages. Just a random Thursday reminder of the things we all have to be thankful every day. Star-Ledger is keeping me warm, or at least up to date on the latest happenings in the Garden State. In the Thursday H&G (home & garden) Today section, the Star-Ledger's Jay Lustig reviewed Tuesday night's Counting Crows show, part of a three-night stand ending tonight (Thursday, October 30th) at the Wellmont Theatre in Montclair, New Jersey. 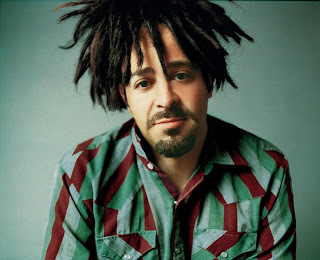 If you check out Lustig's review in the Star-Ledger and are inspired to see the show, tickets are still available for tonight's Counting Crows, with Wild Sweet Orange opening, performance at the Wellmont Theatre. Call (877) 935-5668 or visit the Wellmont web site. Montclair's Wellmont, originally built in 1922, closed in 2006 after having degenerated from old-fashioned elegance to a cookie-cutter triplex. Lustig reports that "the bright interior… features a peach, gold, blue and white color scheme, classically inspired columns and friezes, and a domed ceiling. The floor was open for this show, but will be covered with seats for others, with the capacity for some [shows] sinking as low as 1,800… With the triplex divisions gone, it has turned back into the classy old theater it once was," creating an intimate setting for a rock concert and filling the void in the North Jersey concert scene created by the closing of Passaic's Capitol Theatre in the mid-90s. I'm looking forward to seeing a show at the Wellmont Theatre in Montclair. Since Rex and I left New York City's West Village in October 2003 to move into our home in Mendham Township, New Jersey, my Jersey Girl roots have taken hold. From the newly renovated Count Basie Theatre in Red Bank, New Jersey to the Mayo Center of the Performing Arts (see my review of last week's Joan Jett concert) in Morristown, New Jersey to the Paper Mill Playhouse (we're taking London and Maddie to see a live performance of Disney's High School Musical there in November) in Millburn, New Jersey, to the New Jersey Performing Arts Center (NJPAC) and the Prudential Center in Newark, New Jersey, Roxy's home state has given our family a wide range of opportunities to see great live performances without the stressful drive or train trip in to Broadway or the New York City concert venues. A Chill in the Air, the Leaves Are Falling....Must Be the Height of Football Season! While Rex, London, Maddie and I were hoping that the Mendham High School football team would still be undefeated for this Saturday's 2:30pm home game against Morris Hills, they lost a heartbreaker 14-7 to West Essex in overtime last Friday night. Our whole family is still excited to see our high school team in action this weekend. With a chill in the air (nevermind Tuesday's weird snow storm) and colorful falling leaves, it feels like the height of the football season...high school, college, professional, and of course, fantasy football. When it comes to keeping track of all the team and player statistics and predicting who is likely to win each game, I am much more of a March Madness basketball girl than a football chick... but for those of you who can't get enough of Fantasy Football, do check out the newly launched WaiverWire Beta, the online destination for all of your Fantasy Football news, stat analysis, and players. On this new sports social networking platform, you'll find tips and advice from other fantasy players across all the online leagues. If you'd rather keep track of all of your favorite teams, players and games online than head out to a local high school football game like Roxy, WaiverWire Beta gives you real time game day scores. I know that Rex's son, PostBoy is going to love this...he is always going online to keep track of his fantasy teams when we're together for the holidays. So check it out for the current and future football seasons, and let me know what you think... I will be interested to see if they add additional sports when it comes to my favorite March Madness time of year. Okay, it isn't even Halloween, the leaves are still colorful on the trees, and as you can see, we have about two inches of snow on the ground in the Roxiticus Valley. We got a call from Mendham Township Elementary School, letting us know that they were not sending the kids home early. Instead, the school officials were hopeful that the road crews would have time to salt and sand and clean up the roads before the school buses headed home at the regular dismissal times. Maddie's first Daisy Girl Scouts meeting was cancelled, and although Randolph Gymnastics is open for business, I decided we were better off scheduling a make-up for our classes today. I know I promised my loyal Roxiticus Desperate Housewives readers some more photos from the Bay Head Halloween Parade, but first I want to show you this crazy snow! Last week, I had the good fortune to chaperone Maddie's first grade class trip to Stony Hill Farm in Chester, New Jersey. The first graders, teachers, and a handful of moms and dads boarded the school buses in front of Mendham Township Elementary School at 9:00am on Tuesday, October 21st and made the quick trip to Chester. Our group was escorted into the barn for an educational session about farming that I found fascinating. We learned a great deal about growing corn, feeding livestock and the difference between straw and hay, raising and protecting bees (honey bees and other native bees), and the importance of supporting our local farmers. As many of the first graders seemed distracted, kicking the straw and stirring up dust (aaaahchooo! ), I worried that our farm guide's expertise had been lost on the kids, but I was thrilled later that night when Maddie put all of the information into her own words to share it with Rex and London at the dinner table that night. We won, we won! While I do try to teach my girls that "it's not whether you win or lose, it's how you play the game," it sure feels good to have that trophy in hand. 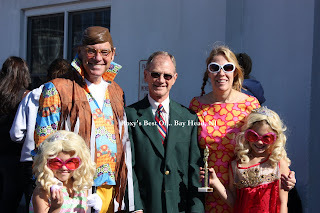 As a family, we won the "Good Sport" award for grown-ups who dress up in the best costumes and march in the parade with their kids. So here we are in costume, from left to right: Maddie (as Sharpay "Golf" from High School Musical) Rex (as Ken), Bay Head Mayor Bill Curtis, Roxy (as Barbie), and London (as Sharpay "End of Year" from High School Musical). I took an amazing bunch of photos (including a Bay Head appearance by all of the presidential and vice presidential candidates) that I'll be posting over the course of the week, hope you'll enjoy! Although I keep up on several celebrity gossip blogs (such as Celebrity Today) that I read through BlogExplosion and EntreCard, here at Roxiticus Desperate Housewives, I rarely post about celebrities beyond those other Desperate Housewives from the ABC Network. However, my good friend Mary Alice introduced me to the music of Amy Winehouse over the summer, during a late night conversation about spa rehab programs on a Girls' Night Out, so I do notice her name and photo when it flashes across my screen on the web. While I believe Amy Winehouse is a highly talented musician, the ongoing public displays of her drug habit continue to overshadow her talent. The latest stories say that the troubled singer, strangely dressed in skimpy black shorts and a lace bra, blamed the devil for her drug problems during a furious rant in a West London recording studio. An eyewitness said: "She lost it," prompting renewed fears for Amy's mental health. It was reported that Winehouse had threatened to kill herself with a knife earlier this month because she was missing her incarcerated husband Blake Fielder-Civil, who is currently serving a 27-month sentence for grievous bodily harm and perverting the course of justice. Such a sad story, but typical I guess of the troubles of a celebrity lifestyle. 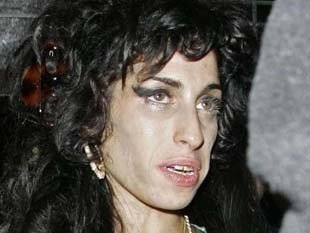 I hope Amy Winehouse is able to move past her problems and get back on track to a new album. It is eight o'clock on Sunday morning and we are waiting for London and Maddie to wake up at our beach house in Bay Head, NJ and begin the countdown to the 11:45am Bay Head Halloween Parade. Witches, goblins, ghosts and Disney princesses will start gathering on Mount Street in Bay Head, New Jersey, shortly after 11am for the 11:45am parade start. As my loyal Roxiticus Desperate Housewives readers know, we stayed up north in Mendham on Friday night for the big Joan Jett & the Blackhearts concert at the Mayo Center of the Performing Arts in Morristown, NJ. We waited until late on Saturday afternoon for the drive down, and made it here in time for one of Rex's specialties...the last lobsters of the season. The weather forecast, including howling wind and rain all day yesterday, may have scared some other fair weather residents off, but we were determined to get down here and march in the parade...come hell, Halloween, or high water. Thankfully, the high water on Lake Avenue has gone down overnight to make way for the parade. 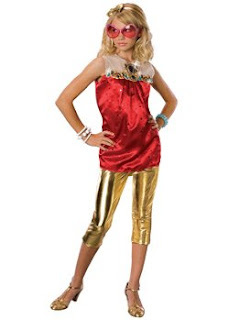 London and Maddie decided to go as a pair of Sharpays (the High School Musical character, not the dog breed) -- one Sharpay Golf and one Sharpay End-of-Year Celebration, complete with gold lame (pronounced la-MAY, not sure how you'd spell it differently than adding an accent over the "e") pants. Rex and I are going as Barbie and Ken, and we're hoping this motley family can win a trophy this year. Rex really looks the part, and London promised to style my hair in Barbie pigtails, but the competition is always tough... we're not the only family in Bay Head that takes Halloween seriously! Wish us luck...and if the girls' costumes, wigs, and oversized sunglasses turn out to be a suitable disguise, I may even share some photos here on Monday. 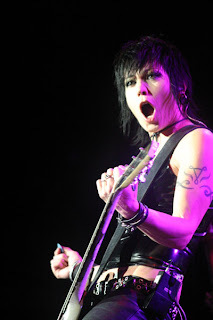 Now, just because I'm home in bed and out in the blogosphere before midnight, don't think that Rex and I didn't have a blast tonight at the Joan Jett concert at the Mayo Center of the Performing Arts in Morristown, New Jersey. We started the evening with a family dinner (Kraft mac & cheese for the kids, delicious take-out eggplant parmesan and pasta carbonara from Dante's in Mendham, NJ, for the grown-ups) at our friends Susan & Mike's house. At dinner we joked about being too old for opening bands, but we took off in time to reach Morristown by eight o'clock. We left London and Maddie there, over the moon with excitement about their pumpkin painting, band practice, brownie baking "late-over" with the girls' adopted third singin' Van de Kamp sister. Rex and I drove in to Morristown in our new red jewel GMC Acadia, found a parking space not too far from the Morristown Community Theatre, and retrieved our tickets from "will call" just as the opening band was getting started inside. Like our favorite New Jersey Performing Arts Center (NJPAC) in Newark, NJ, there's not a bad seat in the house at the Mayo Center, at least not on the lower level. Rex and I had seats on the aisle in the back, row CC, with a perfect view. Since we moved out to the Roxiticus Valley from New York City's West Village in October 2003, Rex and I have been saying that we need to take the girls to a local high school football game. 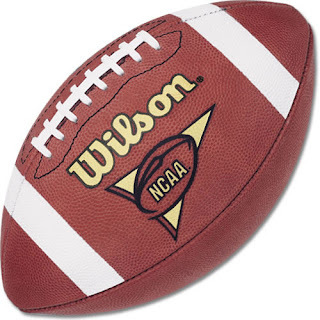 Our local team, the West Morris Mendham High School Minutemen, has been good in past years but was undefeated (6-0) until last night when they faced undefeated (6-0) West Essex away in what may turn out to have been the game of the year. "Without a doubt, the best game I've seen this year. Ryan Higgins went 77 yards down the vistors sideline to score four minutes into the game and put West Essex up 7-0. The teams just battled back and forth the rest of the half and it was 7-0. In the second half on the opening drive, Mendham moves it beyond midfield, but couldn't close the deal on a fumble. The rest of regulation was played in West Essex's end. Mendham finally scored with 47 seconds left in regulation when Colin Schermerhorn found Anthony Santomo just beyond the pylon to make it 7-7. West Essex gets the ball in overtime. two plays, first down to the 13. On first down, Kyle Kovats finds TE Tom Bianchi on play action, as Bianchi snuck by defenders and scored. 14-7. Mendham converts a first down to the 14, but threw an incomplete pass on fourth down and West Essex won. This was an intense defensive struggle. I came away very impressed with both teams. Great game." Next weekend, we will have closed up our Bay Head, NJ, beach house for the season, so we'll be spending a lot more time in the Greater Roxiticus Valley. Rex and I have plans for an early dinner at the Pluckemin Inn with Susan and Mike, Tom and Lynette on Saturday night, November 1st, and our teenage babysitter reminded us that Mendham High School has a home football game against Morris Hills at 2:30pm that day. If the weather cooperates, we'll be there! Big night out for Rex and Roxy...we're off to see Joan Jett & the Blackhearts at the Community Theatre (a.k.a. The Mayo Center of the Performing Arts) tonight. We're having dinner with our good friends Susan and Mike, then leaving London and Maddie with them for "band practice" and a late-over with their adopted third singin' Van de Kamp sister. Since I don't give a damn 'bout my bad reputation, here's a YouTube video to get us all in the mood, with lyrics below if you need them to sing along. I just hope I can find my leather collar in time for the concert. Rex read me a grim weather forecast for the weekend from The New York Times earlier this evening, but we're going down to our beach house in Bay Head, NJ, come hell, Halloween, or high water. Right now Weather.com is forecasting rain on Saturday, but sunny and 60 degrees on Sunday for the Bay Head Halloween Parade. Witches, goblins, ghosts and Disney princesses will start gathering on Mount Street in Bay Head, New Jersey, shortly after 11am for the 11:45am parade start. Wish us luck...and if the girls' costumes, wigs, and oversized sunglasses turn out to be a suitable disguise, I may even share some photos on Monday. These days, it seems I'm finding all sorts of good material on my train commute in from Bernardsville, New Jersey, to New York City. On Wednesday, I picked up the Newark Star-Ledger on the train to read an article about Max Ehrich, a 16-year-old Morganville, New Jersey senior at the Professional Performing Arts School in New York. Allison Freeman's article starts out: "Like many high school seniors, Max Ehrich can relate to the kids in Disney's High School Musical 3: Senior Year… Unlike most American teens, Max is one of the seniors at the popular musical's East Side High. 'I can relate to it perfectly,' said Max…'I know I will go through all of this year, including prom and graduation.'" Max has been dancing since he was 6 years old, including a recent New Jersey Repertory Theatre production of High School Musical. Last March, Max auditioned in Utah for High School Musical 3, the first HSM movie to appear on the big screen instead of going straight to the Disney Channel, and he was the youngest of 18 dancers chosen to be principal dancers from a competitive field of 1,200. Max spent April through June of his junior year in Salt Lake City making High School Musical 3 with the full cast, and we'll have the chance to see him in action (look for the #4 Wildcats basketball team jersey with "Patrick" on the back) when the movie opens this Friday, October 24th. Max is in every dance scene, but doesn't have a name or any spoken lines. He told Alison Freeman in the Star-Ledger: "I am the dancer who does a lot of turns and flips…It was a lot of hard work, but it was fun." The extended edition of High School Musical 3, when released on DVD, will include an interview with Max Ehrich. As my loyal Roxiticus Desperate Housewives readers know, my daughters, Maddie and London, are first and second graders this year and have a long way to go until high school, but that hasn't stopped them from being huge High School Musical fans since the first movie appeared on the Disney Channel and on DVD in 2006. We'll miss the opening of High School Musical 3 on Friday as we'll be headed down to our beach house in Bay Head, New Jersey, for the annual Bay Head Halloween Parade on Sunday, but we'll hope to get the girls out to the movies in Chester, NJ, to see High School Musical 3 over the first weekend in November. If, like I do, you've got an aspiring dancer or two in the house, here's an event not to be missed. Max Ehrich was a stand-out when he studied dance at Dance Attitudes in Marlboro, NJ, and competed on its dance team. On Sunday, November 16th, Max will return to Dance Attitudes to teach dances from High School Musical 3 at a special workshop for kids from kindergarten through 10th grade. London and Maddie are going to miss this exciting opportunity because we're going to see a live production of the first High School Musical at Paper Mill Playhouse in Millburn, NJ that day, but I'm hoping one of our readers will get out and dance with Max Ehrich at Dance Attitudes and come back here to tell us all about it. The program will run from noon to 5:00pm at Dance Attitudes, 6 Timber Lane in Marlboro, NJ. Call (732) 780-8997 for more information. I've been tagged by the lovely Mariuca's Perfume Gallery with a post for a good cause: Join the Pink Sisterhood to raise awareness of breast cancer so we can put an end to this disease once and for all. Over this past weekend, Rex, London, Maddie and I attended the Far Hills Race Meeeting to benefit Somerset Medical Center's Steeplechase Cancer Center, and I'd like to continue to help in the fight against cancer in the month of October. Please join me in helping to convey the importance of regular examination and early detection of breast cancer in order to catch this potentially deadly disease when it first erupts, maximizing the chance of survival and recovery. Something every woman should know is that you're never too old or too young to develop breast cancer. My mom learned from her annual mammogram that she had breast cancer back in 2004. While she unfortunately required a mastectomy and radiation treatment, she is now cancer-free and turns 83 this year. Regular (monthly) breast self-examination should begin by the age of twenty, and all women over 40 (or in a higher risk category) should have an annual mammogram. The first sign of breast cancer usually shows up on a woman's mammogram before it can be felt or any other symptoms are present. Risks for breast cancer include family history (mother and sister(s)), atypical hyperplasia, delaying pregnancy until after age 30 or never becoming pregnant, early menstruation (before age 12), late menopause (after age 55), current use or use in the last ten years of oral contraceptives, and daily consumption of alcohol. Add your link to the list of participants below. I'm hereby nominating (and tagging): Cindi (Moomette) , SpicyBug, Jackie (Shinade), Lucky Lady, Stay at Home Mom Sue, and you and YOU! Please leave a comment here to tag yourself, ladies, and I'll add your site to my list. Free Jewelry Is A Girl's Best Friend? Diamonds may be a girl's best friend, but who wouldn't like to have a monthly shipment of free sterling silver jewelry? I just learned about a monthly free silver jewelry club offering customers sterling silver jewelry for just the monthly cost of $5.95 for shipping and handling. Once you join the club, each month you'l receive a new piece of sterling silver jewelry delivered right to your door. Or, with the holiday season coming up, I could give a gift "subscription" to my mom or my niece so they would get a special surprise from Roxy every month instead of just one gift under the Christmas tree. Sorry, Mariuca and LadyJava, the free sterling silver jewelry club is for domestic United States customers only and the service is not offered to people outside of the United States. These days, it seems I'm finding all sorts of good material on my train commute in from Bernardsville, New Jersey, to New York City. Yesterday I picked up the Newark Star-Ledger on the train to read an article about Max Ehrich, a 16-year-old Morganville, New Jersey senior at the Professional Performing Arts School in New York. Allison Freeman's article starts out: "Like many high school seniors, Max Ehrich can relate to the kids in Disney's High School Musical 3: Senior Year… Unlike most American teens, Max is one of the seniors at the popular musical's East Side High. 'I can relate to it perfectly,' said Max…'I know I will go through all of this year, including prom and graduation.'" Max has been dancing since he was 6 years old, including a recent New Jersey Repertory Theatre production of High School Musical. Last March, Max auditioned in Utah for High School Musical 3, the first HSM movie to appear on the big screen instead of going straight to the Disney Channel, and he was the youngest of 18 dancers chosen to be principal dancers from a competitive field of 1,200. Max spent April through June of his junior year in Salt Lake City making High School Musical 3 with the full cast, and we'll have the chance to see him in action (look for the #4 Wildcats basketball team jersey with "Patrick" on the back) when the movie opens this Friday, October 24th. Max is in every dance scene, but doesn't have a name or any spoken lines. He told Alison Freeman in the Star-Ledger: "I am the dancer who does a lot of turns and flips…It was a lot of hard work, but it was fun." 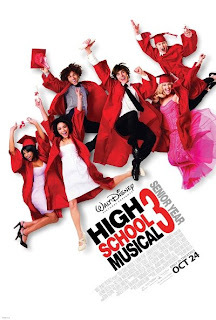 The extended edition of High School Musical 3, when released on DVD, will include an interview with Max Ehrich. Mommy, What Does "Sound Like A Broken Record Mean?" I'm not sure how old you have to be to tell your kids, "I sound like a broken record," but one thing is for sure, London and Maddie wouldn't have a clue what I'm talking about if it weren't for our old "record player" down at our beach house in Bay Head, New Jersey. Rex and I have a pretty extensive collection of vinyl -- old LPs and 45's -- and some things that you can't even find on CD or download from iTunes. All of our records have seen better days, and I don't want to lose some of those precious memories...The Bay City Rollers! Andy Gibb! Peter Frampton! Shaun Cassidy! Leif Garrett! So I was excited to find a unique USB turntable that allows you to convert your old vinyl collection directly to CD or MP3 quickly and easily. It plugs directly into your computer using the included USB cable. In addition, it comes complete with a dustcover, and all cables are included. Boo! I posted a couple weeks back about our family's trip to Alstede Farms in Chester, NJ to pick out our pumpkins for our annual pumpkin carving evening with our good friends Hope and Michael and their four kids. Friday was the big night, and the kids were all really creative with their carving designs. Maddie went with a free-hand design and the traditional scary look. 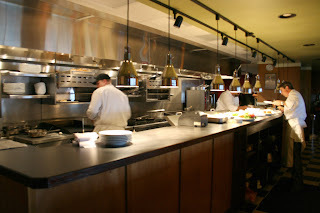 Hosting PostBoy and MathGirl's Rehearsal Dinner at Il Palio in Shelton, Connecticut? The wait is almost over. Rex's son, PostBoy, has been dating MathGirl since their senior year at Villanova in 2003, and our family really, really loves this girl. London and Maddie adore her, and we have countless pictures of our girls with MathGirl at our beach house in Bay Head, New Jersey. So many pictures, in fact, that I've only half-joked with PostBoy that if he broke up with her, he's the one we'll have to clip out of all of our family photos. Thankfully, we moved past that risk when PostBoy asked MathGirl to marry him earlier this year, and the happy couple has been busily planning their wedding in Hamden, CT, reception in Westport, CT, and honeymoon in Costa Rica. 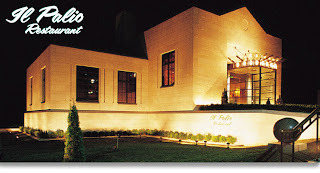 Now it's up to Rex to host the rehearsal dinner, and we're looking at Il Palio in Shelton, Connecticut. I've never been there, and could use some advice/recommendations from my loyal Roxiticus Desperate Housewives readers from Connecticut. ... or in Roxy's case, luck was a lady this afternoon at the 2008 Far Hills Race Meeting. Rex, London, Maddie and I missed the first race of the day, but joined our group of friends with a great tailgate spot near the back stretch of the steeplechase for races 2, 3, 4, and 5. Everyone was making $2.00 bets on the horse races, so we put down our ten bucks for the last five races, and later added another $3.00 for the big race of the day, the Grand National. The photo you see here is Good Night Shirt coming past us in the lead at the end of the race. We won, we won...fifteen bucks! As I posted here this morning, Rex, London, Maddie and I were off to the races today...the Far Hills Race Meeting at Moorland Farms in Far Hills, New Jersey. It was a beautiful day to be outdoors...enjoying the horse races, our good friends, and the fall foliage all around us. We were worlds away from our TV and all of the Comcastic problems I've been reporting to my loyal Roxiticus Desperate Housewives readers for months. While we're still missing 20 channels on our master bedroom cable box, we did get the Disney Channel working on our HDTV in the family room, and the DVR replaced so I'll be able to tape those other Desperate Housewives without any glitches. When we returned home from the Hunt, it was time for the girls to "watch something" (an episode or two of Hannah Montana and Suite Life of Zack & Cody on the Disney Channel) while their mom headed out in the blogosphere, where I learned about an exciting promotion from Charter cable television, high speed internet, and telephone service. Right now, you and I can order any Charter service online or simply register and be automatically entered to win a brand new Honda Civic Hybrid worth $24,000. Potential winners must live in an area that offers Charter services. I'm hoping to finally conquer the evil Comcastic overlords and win myself a new green mobile in the process. So, while you're here online, click on one of my links to check out the offers from Charter to save on television, high speed, and telephone service and you just might win a Honda Civic hybrid that can help you save a lot on gas, too. Save green, go green...enjoy Charter services and help out the environment at the same time. It's a brisk Saturday, October 18th, and Rex, London, Maddie and I are off to the races! More than 50,000 fans are expected to converge for the 88th running of the Far Hills Races at Moorland Farms in Far Hills, NJ. 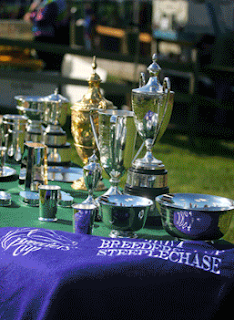 We're going to head over to the train station in Gladstone, where shuttle buses will take us back and forth to Moorland Farms for the steeplechase. Post time is 1:00pm, but the people with the best parking spaces have already arrived and are eagerly awaiting the delivery of their catered treats. While things have been hectic here in the Roxiticus Valley, New Jersey, since we drove home from our long weekend in Duck, North Carolina, I wanted to give you some of the highlights of our trip. I'll start by saying that Rex, London, Maddie and I enjoyed all of our three very different dinners in the Outer Banks. On Thursday night, we went to the Blue Point. We went a bit more casual on Friday night with four dozen steamed clams for my Jedi clam-eaters at the Sunset Grille, another two dozen steamed "middlenecks" for me, and five different appetizers for Rex and me to share. Finally, in honor of my birthday, we planned and enjoyed the most elegant evening of our trip at Elizabeth's Café and Winery. On Friday morning, when we were at the Scarborough Faire for sticky buns at Tullio's Bakery, we picked up a sample menu from Elizabeth's, so we had the perfect birthday dinner for four planned out by the time we arrived for our 6:30pm seating. Since I started my back-to-school fitness program a little over a month ago, I have not only lost weight but have experienced the incredible shrinking appetite. I've also found in the past year or two that I enjoy little tapas-style tastings of many dishes, so we called ahead to assure that I could nibble on a couple of perfect appetizers while Rex went all out (and shared with me) the Six Course Wine Dinner ($125/person including wine, $90/person without wine). I was on the phone earlier today with my favorite butcher, Mario Perrotti at M&M Perrotti's over in Far Hills, NJ, and he reminded me that (1) his Friday and Saturday are going to be absolutely crazy getting ready for the Far Hills Race Meeting to benefit Somerset Medical Center and (2) I've got to get out and buy our tickets! I've only been to "the Hunt" once... in October 2007, when the sun was shining, the horses were running, the beer was flowing, the kids were playing in the mud, and I'll hope the weather repeats this year on Saturday, October 18th. The weekend weather for Far Hills, New Jersey, promises more clouds than sun, with highs in the upper 50s. I guess I'd better get that sweater out....or maybe a rugby shirt. 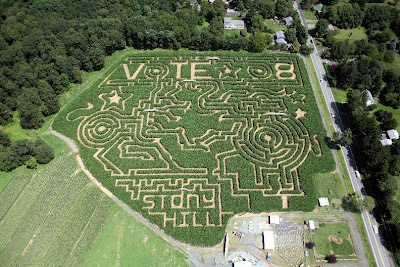 More than 50,000 spectators converge each Fall on the rolling hills of Moorland Farms in Far Hills, New Jersey, for the Garden State's biggest social event of the season -- The Far Hills Race Meeting. 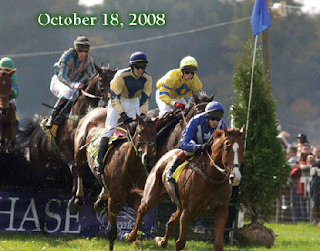 This year's race -- on Saturday, October 18, 2008 -- will mark the 88th running, and the Far Hills Race features some of the finest steeplechasers in the world competing against a backdrop of autumn splendor in the Somerset Hills (and the Greater Roxiticus Valley). I sure hope I can wangle an invitation from our good friends with the perfect parking spot. Tickets are now on sale online (ONLY in bundles of 10 general admission tickets for $500) and in many local stores. Just yesterday I posted here at Roxiticus Desperate Housewives about a "new drug going around in schools, known as strawberry quick" after receiving an e-mail from another Mendham Township Elementary School mom, who had passed it along to create awareness of a potential danger for our young children. Turns out I should have checked my facts before passing along the message to you. Thanks to the Library Lady for debunking this myth with a link to Snopes.com. According to Snopes, while colored crystal meth has turned up in many parts of the country since the original rumor started in May 2007, it wasn't then (and still isn't) linked to crystal meth use by children. "It's colored. It might be flavored. But people aren't using it to hook unsuspecting kids into a life of drug abuse by tricking them into thinking it's candy." While the "strawberry quick" rumor turned out to be an exaggeration of the facts, it doesn't feel that much different than the cautionary tales of razor blades in Halloween candy when I was growing up. There are a lot of wackos out there, and we're all better off with a bit of caution where our kids are concerned. Thanks for reading... and commenting. Calling Mary Alice...Is Your Husband Paul Ready To Shave His Head for New Zealand?? Just this past August, my BFF Mary Alice and her family left the lovely Roxiticus Valley to move out to the West Coast. Her husband, Paul, had a job offer he couldn't refuse, it never rains in Southern California (and certainly doesn't snow), and Paul wanted to be a bit closer to his beloved homeland, New Zealand. Today, I have the craziest opportunity to tell Mary Alice (and all of you) about...Air New Zealand is holding a casting call in late October to select 30 adults to be shaved and tattooed to serve as cranial billboards (yes, you heard me right, Paul!) in Los Angeles as part of the airline’s marketing campaign promoting life-changing journeys to New Zealand. I know that Paul would be absolutely perfect for the job, and he certainly believes in the message! Seeking Advice from Moms with Older Kids: There’s a New Drug in the Schools, When and How Do You Talk to Your Kids About Drugs? The e-mail chain of moms asked me to please pass the following message on to you and ask all of you to do the same, even if you do not have kids in school. Parents should know about this killer drug. Grandparents, send it to your families and friends. There is a very scary thing going around in the schools right now that we all need to be aware of... it is a new drug known as “strawberry quick,” a type of crystal meth that looks like strawberry pop rocks (the candy that sizzles and 'pops' in your mouth). It also smells like strawberry and it is being handed out to kids in school yards. They are calling it strawberry meth or strawberry quick. Young kids are ingesting this drug, thinking that it is candy and being rushed off to the hospital in dire condition. It may also come in chocolate, peanut butter, cola, cherry, grape and orange. Here's a link to a report from Fox News. Please pass this message on to as many people as you can (even if they don't have kids) so that we can raise awareness and hopefully prevent any tragedies from occurring. I'm going to talk to London and Maddie about "strawberry quick" and awareness of the dangers of drugs at the dinner table tonight, and try to start a line of communication about drugs that makes them aware while not confusing them or creating unnecessary fear. I'd welcome any advice you moms out there can give me about when and how you have talked to your children about drugs. I'm checking in from our family vacation in Duck, North Carolina, and feeling a bit pensive around my birthday, thankful for what I have, the love and good health of my family. While I've now been with Rex for more than lucky 13 years, there was a long period of time that I spent in solitude, wondering when I would find Mr. Right. Since the time in question was really pre-Internet, 1991 through most of 1995, I didn't have any modern technological inventions for finding Mr. Right. In fact, though I was a marketing/radio and TV and film undergrad and an investment banking MBA, I had a solid grounding in statistics and felt that the odds were against me the entire way. I had some crazy calculus that said there were only 7 men in the entire world that were the right match for me, and thought I would never meet one of them. I looked at the guys across the room in all of my favorite Jersey Shore bars, but there was never that "one enchanted evening" when everything clicked. Eventually, I met Rex at work. We worked together for almost a year before he even noticed that I was anything more than the best investment banking associate in the Firm...and then, against all odds -- he was older, he was married -- it happened. And we've lived happily ever after, with two beautiful daughters to show for it. I spend a serious amount of time out and about in the blogosphere, and some of the most interesting blogs are written by single guys or gals (like Cubby Waist and Dreaming in the Dark, who I read regularly through BlogExplosion) looking for their match. Unlike Roxy in the '90s, if you haven't found your Prince Charming or Princess yet, technology is now in your favor. You can search for free on True.com. Thousands of others have already begun their own online happily ever after, and signup is free... so what are you waiting for? It's a story for another time, but I remember my days of going on blind dates (when my date never ever offered me dinner, even if I was willing to pick up the tab), mostly to be able to share the humorous anecdote with my friends. I'd love to hear your dating stories... whether you meet online, or through more traditional channels like working together, hooking up in a bar, or being set up by mutual friends...anyone out there have a story to share? Since the Cottage on Paw Paw Creek at the Mansion House in Snow Hill, Maryland, does its best to shelter us from the distractions of modern technology, we don't have cable TV today, much less wireless Internet access. I couldn't even sneak onto a neighbor's wireless network to post this missive… the neighbors are probably just enjoying the natural beauty of our surroundings instead of roaming the blogosphere. London and Maddie are stretched out on the rug in the homey living room, coloring in a coloring book and rearranging the pictures to make their own stories. If you decide to follow our footsteps and embark on a trip to Duck, North Carolina from New Jersey or another northern starting point, our family can highly recommend a stopover at the Mansion House in Snow Hill, Maryland. George, the owner of Mansion House, had encouraged us to take more time to enjoy the nearby Sea Side DelMarVa area, but we don't have enough time during this brief school break…maybe on another long weekend in the future. As you can see from the photos (okay, so you can't see the photos, I haven't posted them yet), we have a beautiful view of Paw-Paw Creek from the porch of our cottage. The cottage has two bedrooms, more than enough space for our family of four. London and Maddie shared a room with twin beds and explored the cottage after I read their bedtime stories and conked out early on our queen-sized bed after the four-and-a-half-hour drive. The girls were excited to share their very own half bath. Just this weekend, we're missing the 11th Annual Endless Summer Cruisin' celebration in Ocean City, Maryland: more than 1,500 muscle cars, classics, and hot rods cruise into town for a car lover's extravaganza. Thursday, October 9th through Sunday, October 12th from 9am to 5pm (ends Sunday at 3pm). Inlet Parking Lot, Ocean City, Maryland. Phone: (410) 798-6304. Ocean City celebrates my birthday weekend with an Oktoberfest at the Ocean City Convention Center on Friday, October 10th (11:30am-6pm), Saturday, October 11th (11am – 11:30pm), and Sunday, October 12th (11am – 4pm). Eat, drink, and be merry with schnitzels, wurst, and barrels of bier. Three full days of continuous entertainment include Jolly Joe and the Bavarians, the Pennsylvania Villagers, the Enzian Volkstanzgruppe Dancers, and more. Phone: (800) 626-2326. I won't tell London and Maddie that we're missing the 3rd Annual North American Sea Glass Festival at the University of Delaware as we head down to Duck, NC this weekend. This event draws collectors, artisans, authors, and beachcombers from around the world. Saturday, October 11th features sea glass shard identification experts, and on Sunday, the "Shard of the Year" contest awards $1,000 to the most beautiful and rare piece of glass presented for judging. Virden Conference Center, University of Delaware, Lewes, Delaware. Saturday, October 11th and Sunday, October 12th from 10am to 5pm. Phone: (410) 778-4999. See the hottest new racing and cruising boats from U.S. and foreign builders at the United States Sailboat Show in Annapolis, Maryland. City Dock and Harbor, Annapolis, MD. Friday, October 10th and Saturday, October 11th from 10am – 7pm, Monday, October 13th from 10am – 5pm. Phone: (410) 268-8828. Summer's not over with the Jazz/Blues Music Series in Rehoboth Beach, Delaware! Dane Tilghman returns with his jazz/blues music series and more of his ever-popular Americana series at the Philip Morton Gallery. Opening reception Friday, October 10th from 5 to 8pm. Runs October 10th – 24th. Phone: (302) 727-0905. In Easton, Maryland, the 11th Annual Arts Marketplace runs from Friday, October 10th through Sunday, October 12th: the Eastern Shore's largest juried craft festival features original works, including sculpture, ceramics, enamel, jewelry, fiber art, fine glass and woodwork. Academy Art Museum, Easton, Maryland. Phone: (410) 822-2787. Chesapeake Bay Maritime Museum in St. Michaels, Maryland: We just missed their Small Craft Festival on October 4th, but the museum offers "Build a Boat" on weekends, year-round – learn hands-on boat building skills under the guidance of a Museum shipwright. Carla Massoni Gallery in Chestertown, Maryland, currently (through October 25th) featuring "Stewardship," an exhibit of artist Greg Mort's newest works, inspired by one of the defining challenges of our time: the diminishing supply of fresh, clean water. Through his watercolor images, Greg Mort hopes to incite a call to environmental action among artists. Phone: (410) 778-7330. First Friday Gallery Walks in Downtown Easton, MD: Stroll the brick-paved walks and browse an abundance of art galleries, antique and specialty shops, and award-winning restaurants, all nestled among vintage Federal-style buildings. First Friday of every month from 5 to 9pm. Phone: (410) 820-8222. That's just a sampling of what we'll be missing as we head down to Duck, North Carolina….but the autumn season is beautiful here and I'd highly recommend a long weekend… it feels like you can kick back and relax for a few days at the Mansion House and venture out for as much or as little activity as you wish. P.S. -- The DelMarVa Peninsula was such a lovely setting and seemed to have so many activities to enjoy that I was inspired to start a new blog from the road. Introducing Roxy's Best Of... the DelMarVa Peninsula. Hope you'll drop in and check it out. Rex, London, Maddie and I just finished an amazing dinner at the Blue Point in Duck, North Carolina. I am too exhausted from driving all day to write all about it and to upload my photos of the beautiful food, but trust me that it is terrific and that I will tell all within the next week. So far our trip is off to a great start and I look forward to telling you all about it. Tomorrow, we’re hoping to just kick back, relax, and check out the beach at the Sanderling Resort & Spa. A few years back (July 2005), Rex read a travel article by Cindy Price in The New York Times about “36 Hours In…Duck, North Carolina.” Ever since, he’s been hoping to take London, Maddie, and me away for a long weekend, and this year, we’ve found the time. In preparation for our trip, I've been posting the things we plan to do — including restaurants and kid stuff — over on Roxy's Best Of... Duck, North Carolina. We're going to be in the Outer Banks for several days, so we needed to plan for lots more than 36 hours in Duck, NC, and we did so with the help of our southern colleague and friend, Brent. As directed by the 36 hours article, we made plans to stay at the Sanderling Resort & Spa, overlooking the Atlantic Ocean and the Currituck Sound. 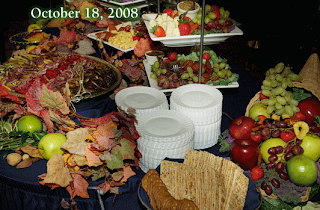 We've also made the recommended dinner reservations at the Blue Point Bar & Grill as well as a special birthday dinner at Elizabeth's Cafe and Winery. My Jedi clam eaters, London and Maddie, are ready for Jimmy Buffett Karaoke at the Sunset Grille and Raw Bar... they'll be practicing the lyrics for Margaritaville during the 8 or 9 hour drive from New Jersey. We're planning to check out the Wright Brothers National Memorial and have barbecue ribs for lunch at High Cotton BBQ in Kitty Hawk.